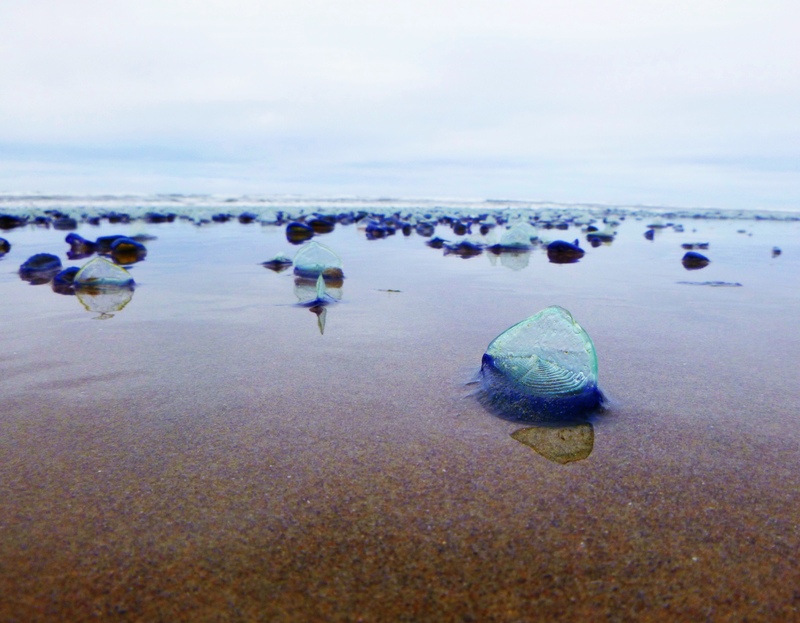 Velella are a curious thing, also known as “by-the-wind sailors.” They’re a type of jellyfish-like creature with a sail that spend their days propelled by the winds on the open seas. While I’ve found a few of them over the years during visits to the beach, I’ve never seen them in such multitudes as I did this past weekend. 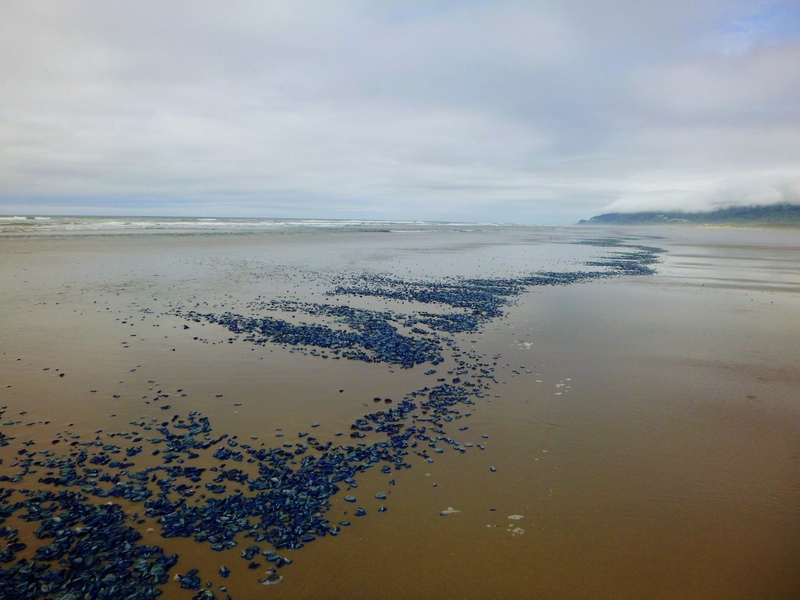 Apparently it’s not unusual for these mass strandings of Velella to happen, as they occur every few years, but I’ve never witnessed anything of this magnitude before. What curious sights in nature have you witnessed recently? Posted in life, northwest, photographyTagged beach, by-the-wind sailors, curiosity, discover, florence oregon, iphone photography, life, nature, Northwest, ocean, oregon, oregon beach, oregon coast, outdoors, pacific northwest, Pacific NW, photo, photograph, photography, random, velella, velella velellaBookmark the permalink.